July 10, 2018 July 10, 2018 - by benign0 - 9 Comments. The facts are quite confronting. Filipinos who not just speak English but speak it well and with the right accent go places. This is the reason wealthy Filipinos spend a fortune on the best private schools to educate their kids — because those who gain mastery of this important language make the most connections with the right people and the right information. It is even more important to recognise that there is a lot of emphasis nowadays placed on gaining competence in the so-called STEM fields. Science, Technology, Engineering, and Mathematics are increasingly what fuel economic growth in mature economies. In particular, labour productivity gains (which make labour more valuable per capita and, as such, exert upward pressure on wages) are driven by growth in capital and its application in commercial and industrial activity. Capital — its creation, and the expansion of its installed base — is what ultimately drives economic growth to First World levels and uplifts the industrial bases of economies from labour-added-value to design-added-value operations. Therefore, contrary to what Filipinos would like to believe, neither workers nor natural resources are sustainable sources of a country’s wealth. We can see this in the way the world’s most resource-rich countries are among its poorest. Even oil-rich Arab kingdoms remain fundamentally backward and suffer economies at risk of collapse in the event world prices of the single resource they depend on fall. The Philippines remains a largely labour-added-value economy because much of the capital its economy depends on is foreign-originated. The ability of Filipinos to create and build capital indigenously is dismal. The Philippines is therefore a net capital importer. It is no surprise that foreign capital originates from societies that enjoy strong traditions of achievement in science, technology, and engineering advancement and in applying these advances to business and industry. These net capital exporters are the predominant source of the planet’s economic power. It is, from here, easy to see why it is important that Filipinos master the languages of societies that are net capital exporters. The languages of these societies — English, German, French, Japanese and, increasingly, Mandarin (among others) — disproportionately account for the volumes and terabytes of information and knowledge that are vital to societies that rely on a secure inflow of capital and, better yet, aspire to catch up and elevate their lot to the levels of development these societies enjoy today. The trouble with Filipinos is their willingness to step up to that challenge. Unfortunately, the ethic at work in this effort is sorely wanting. Because English language proficiency amongst the majority Filipinos has declined sharply over the last several decades, an attitude of regarding it as a triviality rather than as a key to success has taken over. 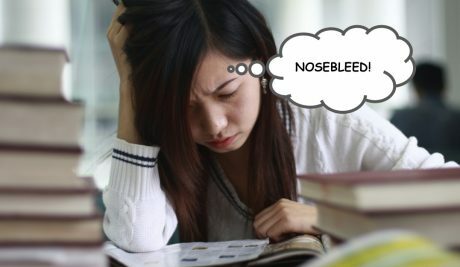 This is evident in how many Filipinos apply the “nosebleed” argument when confronted with ideas expressed in English. Rather than embrace the challenge, they scoff at it. The results are, as such, predictable. An ethic of excellence has failed to take root in Philippine society and the culture of Pwede Na Yan remains deeply-ingrained. Without this focus on excellence and a will to embrace a language that holds the key to mastering this ethic and the technologies and methods needed to do so, Philippine society will remain mired in mediocrity over the foreseeable future. Next Article Can Leni Robredo unite and deliver votes to the Philippine Opposition? Filipinos thinks the (american or british) accent is more important than grammar. English is the language of our present civilization. There was a time when Latin was; but it is now replaced by English. Advances in Science and Technology, are mostly written in English. Advances in Information Technology are written in English. Our economy is dependent on the OFW slave workers; remitted to the Philippines. The Middle East economy is mostly dependent on oil. Once this energy source is replaced; so goes down their economy. If Solar Energy source and equipment, are further improved and modified…Along with its efficiency. Oil will be an obsolete energy source. We cannot rewrite civilization. We have to use any medium of communication, that allows us to advanced in our country. Throw away that idiotic nationalism cry. We cannot eat, nationalism ! You seem to fail to observe the current wave of nationalism in the West. We are not the West ! We cannot eat religion, wisdom, faith, respect, honor, loyalty and love. So go throw them out as well then.